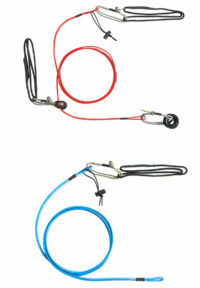 compatible with ropes from 5 to 10.5mm (if rope in good condition). 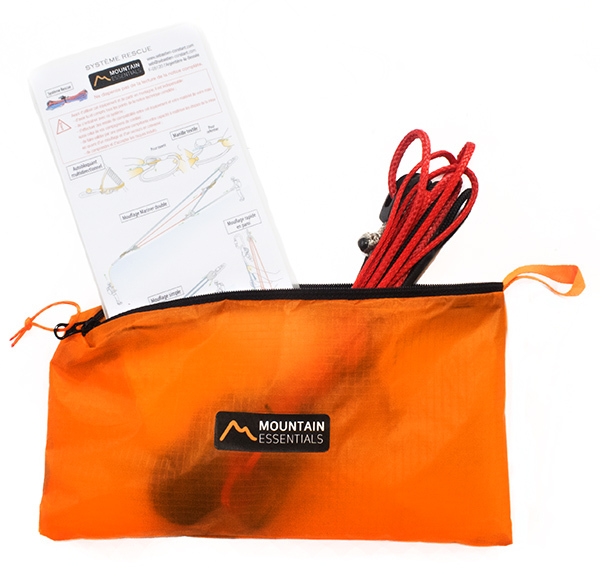 EACH KIT contains two systems for use in crevasse-rescue/hauling operations. 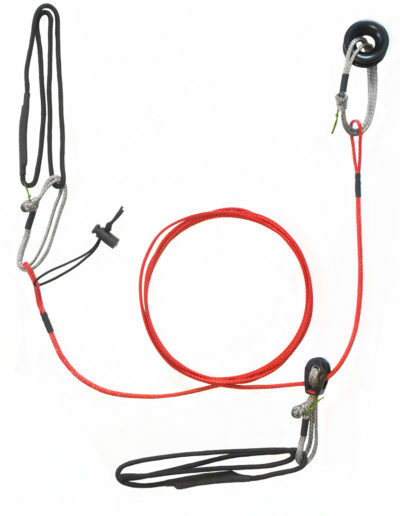 – 1 pre-assembled RESCUE system for setting up a Double Mariner hoist (80 g). Can be converted for use as a simple hoist. 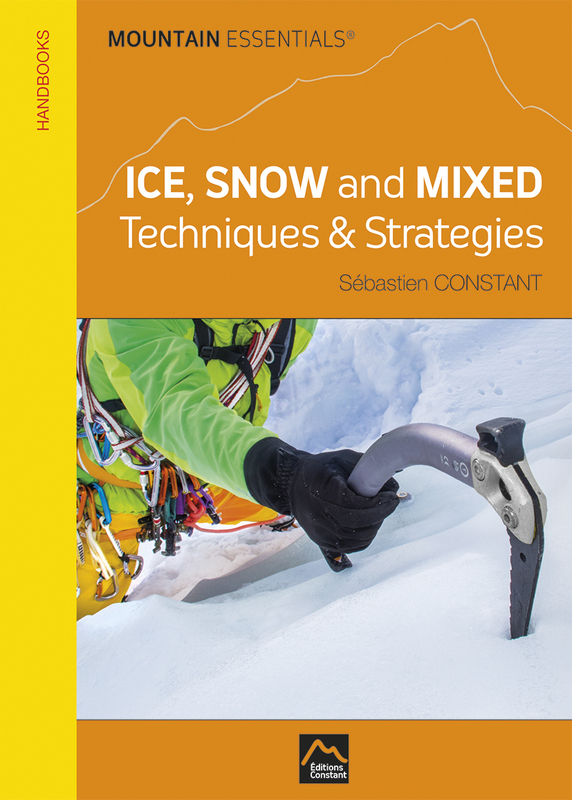 The RESCUE system is designed to be used with a progress-capture pulley (NOT SUPPLIED) at the top of the hoist..
For a fuller description of how the RESCUE system can be used in different situations and an introduction to the modern approach to safety, see MOUNTAIN ESSENTIALS – Ice, SNOW and MIXED; techniques & strategies. The RESCUE system is not suitable for use on soil or mud. Each RESCUE system comes in a storage/carrying pouch and is supplied with a laminated instruction card + full instructions for use. 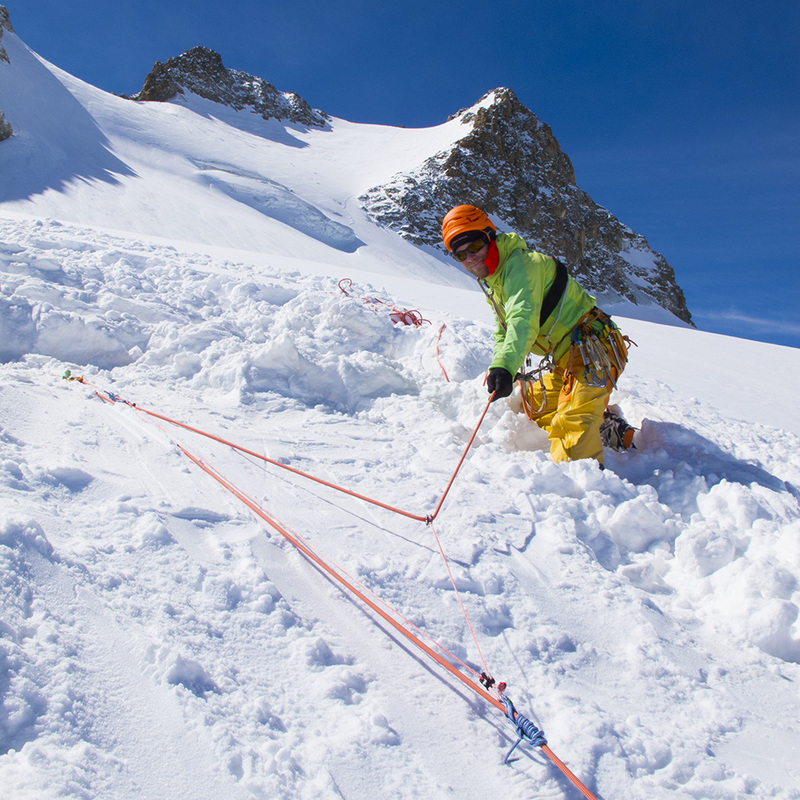 What is new: The RESCUE system was designed to provide mountaineers with the ultimate, multi-purpose crevasse-rescue kit and hauling system. Making extensive use of Dyneema components to reduce weight, the system is both visionary and revolutionary. Weighing a mere 80 g (plus approx.150 g for a Petzl Micro Traxion-type progress-capture pulley + screwgate karabiner), the RESCUE system is substantially lighter than a traditional crevasse-rescue kit (2 pulleys, 3 prusiks, 5 m of 7-mm accessory cord, 2 karabiners, 2 x 240-cm slings, 1 progress-capture pulley, 2 screwgate karabiners = 550 g). The red Dyneema strop is designed to make each haul cycle shorter, so the person hauling does not have to move during the cycle. The fact that Dyneema does not stretch, unlike accessory cord, makes the system much more efficient. 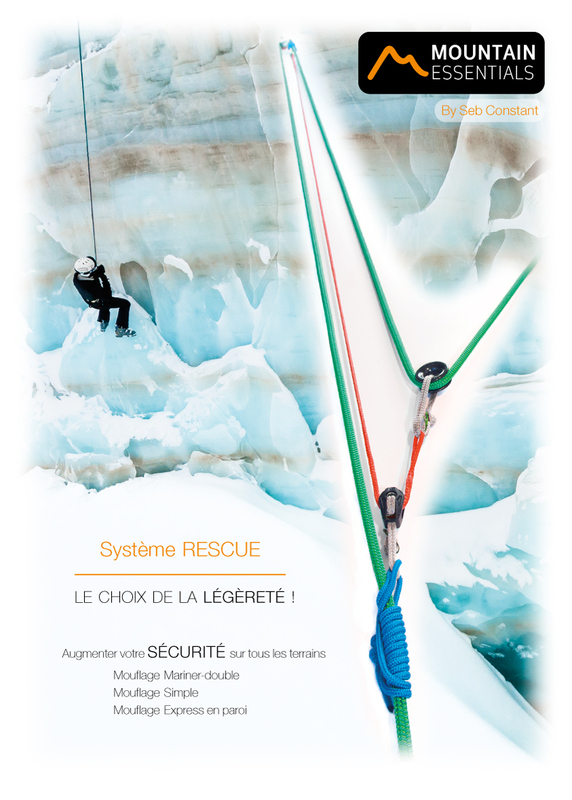 The RESCUE system is not designed to absorb a dynamic load and must not be used in place of a climbing rope. 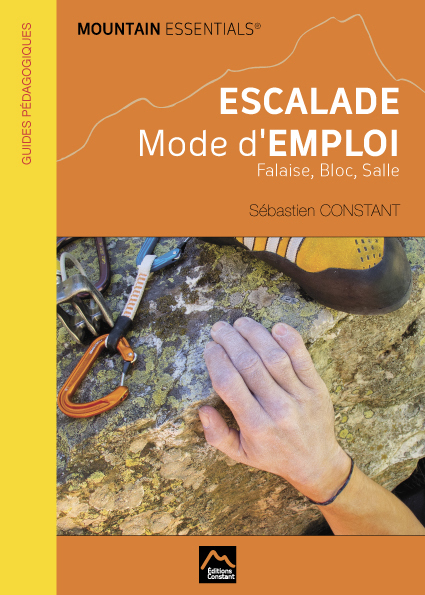 It was designed to hoist a person out of a crevasse or up a cliff, with the rope and the person being hoisted belayed to a solid anchor via the top of the hoist (progress-capture pulley + screwgate karabiner or screwgate karabiner + prusik) or a belay device in the self-locking position. It must be used only to set up a hoist. 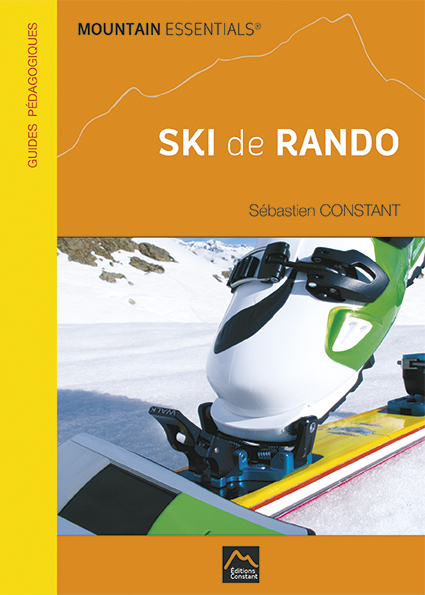 Its extremely low weight (80 g) means it can be carried as a matter of course on every outing likely to involve crossing a glacier. True mechanical advantage = 3.5 (theoretical mechanical advantage = 7). 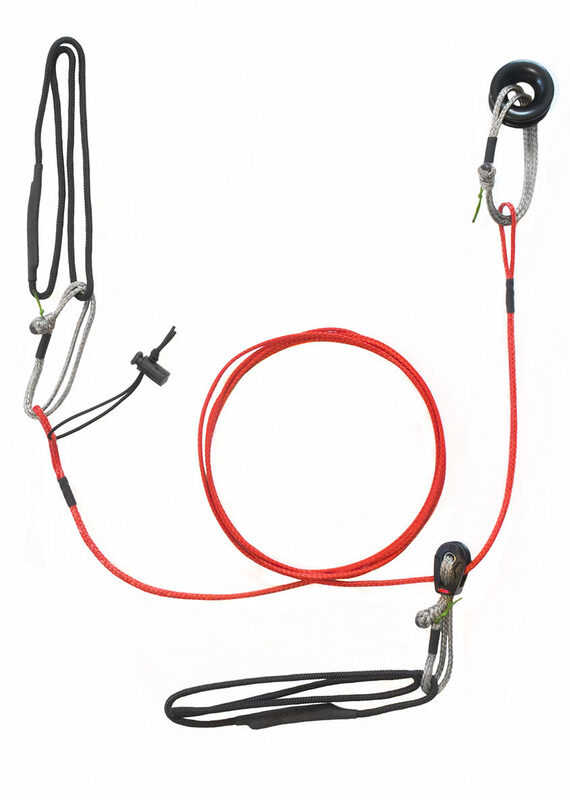 Extremely light – 80 g for the rope rescue systems. 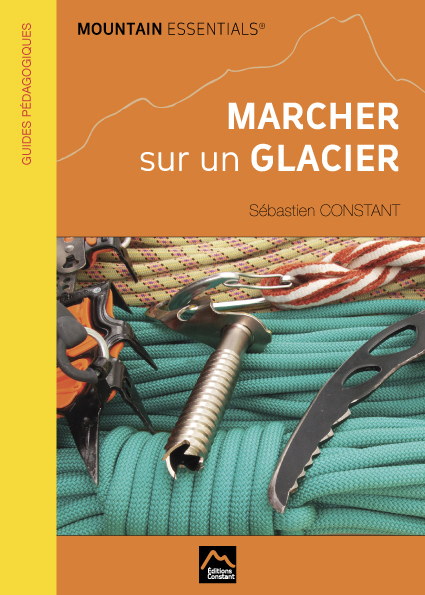 Excluding the top of the hoist, this is approximately 300 g lighter than a classic crevasse rescue kit. Made from Dyneema (strops and prusiks), rather than nylon, thereby reducing weight and increasing efficiency (Dyneema does not stretch). Uses soft shackles (3 g) instead of karabiners (30g). Uses modern, ultra-light pulleys (15 g) instead of classic pulleys (55-90 g, depending on the model). 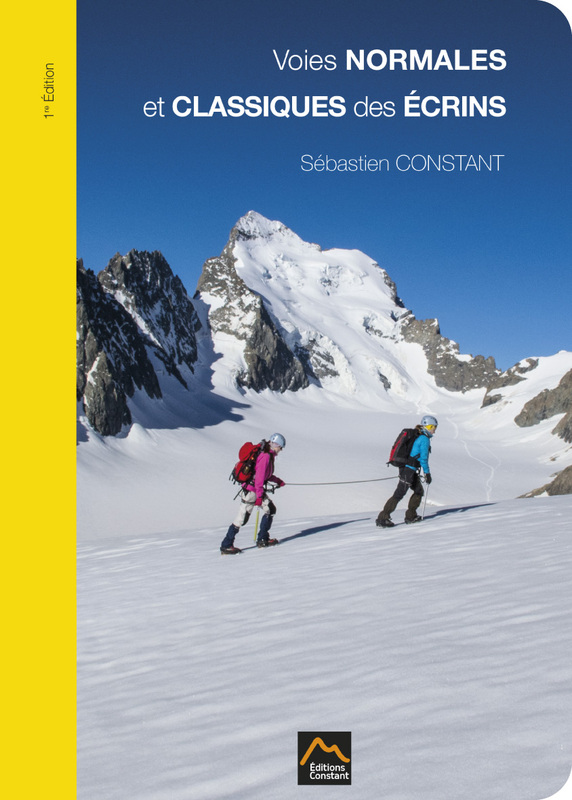 NB: Soft shackles have been used in sailing, kitesurfing and paragliding for many years. 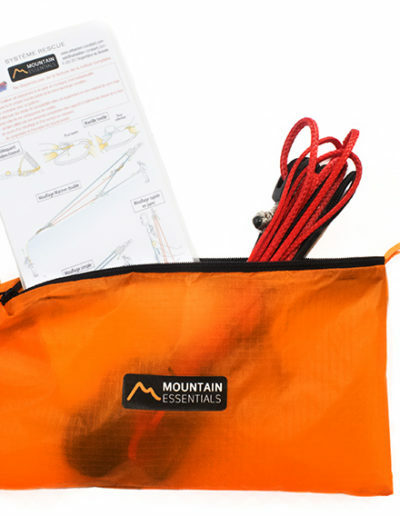 If, like most mountaineers, you are not used to handling soft shackles, don’t worry; they are very easy to use.